Health professionals increasingly recognize the value of farm-and garden-scale urban agriculture. Growing food and non-food crops in and near cities contributes to healthy communities by engaging residents in work and recreation that improves individual and public well-being. This article outlines the benefits of urban agriculture with regard to nutrition, food security, exercise, mental health, and social and physical urban environments. Potential risks are reviewed. 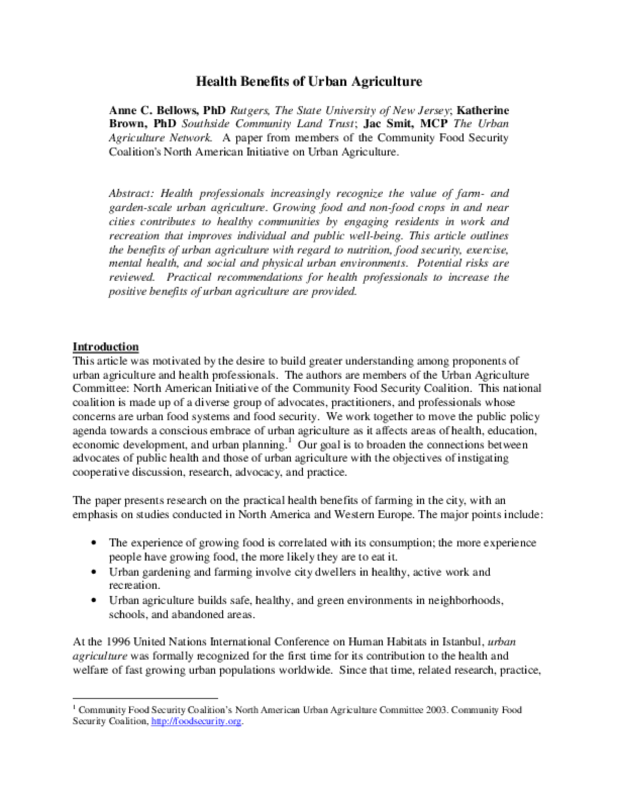 Practical recommendations for health professionals to increase the positive benefits of urban agriculture are provided. Copyright 2003 Community Food Security Coalition. All rights reserved.